What’s the best way to filter the air in your Stafford, Texas, home? Most HVAC filters use textiles or fiberglass to filter the air and are disposable. Electrostatic air filters, however, are a washable option that use static electricity to trap the particles in your indoor air. Are electrostatic filters right for your home? Learn a few things about them to help you decide. Static electricity is the driving force behind electrostatic filters. Each filter has multiple layers designed to both charge and trap debris floating in the air. The filters charge the air with static, which then causes particulates in the air to stick to the filter, keeping them out of your ducts and your indoor air. You don’t have to replace electrostatic filters. Instead, you wash the accumulated dust off your filter when it gets dirty and put it back when you’re done. Many people love using washable filters because they don’t have to return to the hardware store every couple of months to buy new filters. 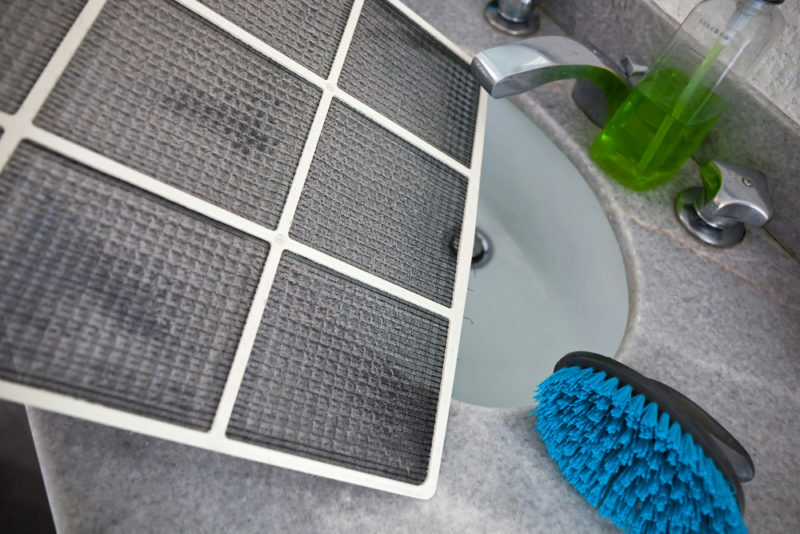 First off, you want to make sure you turn off your HVAC system when washing your filter so that you don’t accidentally pull nasty particulates into your ducts while the filter is getting its hose-down. But, more importantly, you need to let it dry out completely before putting it back. A wet air filter could mean mold growth down the line, negating your filter’s whole purpose. Finding the right air filters impacts your indoor air quality and your interior comfort. If you have questions about air filters, Conditioned Air TX will offer answers. This is our profession, so we know the ins and outs of HVAC filters and can help you pick the options that solve your IAQ needs. Have us do HVAC maintenance on your system to clean out any debris that has collected inside your machine or inside your ducts. You can reach us at 281-201-0356.